A collection of design work where branding was used in a physical space. From a high-growth startup’s perspective, the Exchange Building will have everything — tangibly and intangibly — needed to scale, including education, mentorship, talent, and access to capital. To build brilliant communities, as a place, as a destination, the Exchange Building can be the hub for a city ready to be inspired by innovation and creativity. Collaboration with Birdhouse Interiors, and DeOld Andersen Architecture. The new brand package for AO includes the logo and its variations as well as messaging treatments. Complete stationary set, new business documents, and a variety of signage was part of the final deliverables. Shown above is the final design for the back of the building as well as 3 of the final concepts for consideration for the front. Designed to be enjoyable and inviting. We welcome people to our online conversations with clarity and focus. 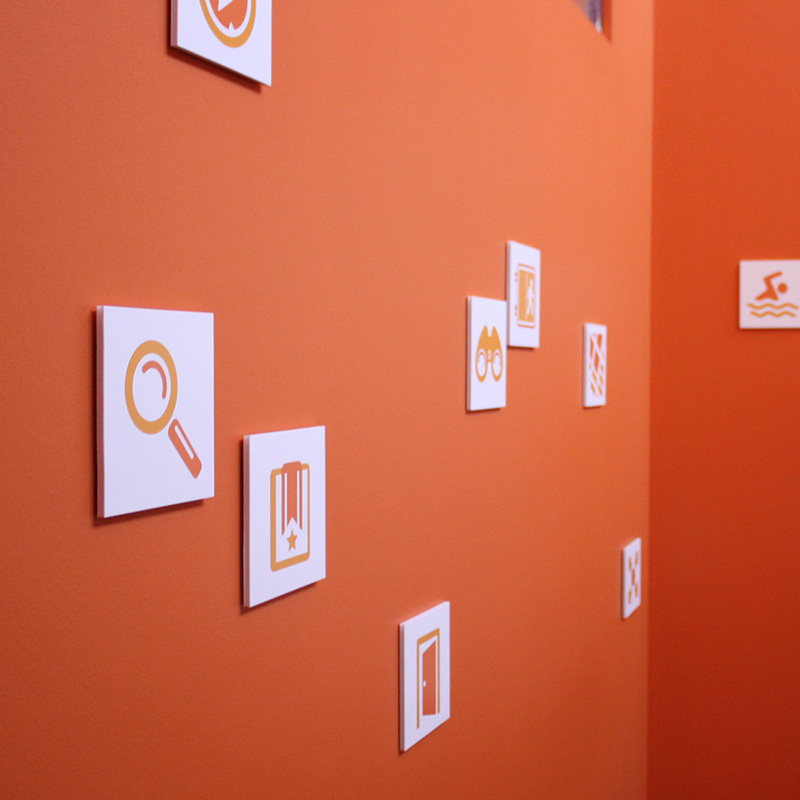 The office was adorned in orange walls to keep things vibrant, idea bulbs lined conference room glass, icon cards helped keep things on topic in collaboration rooms, and brand messaging was added for inspiration. Tack Architects led the project with various aspects of the brand added to the space after it was completed. A large-scale pop-up art exhibition, cultural convening, and community organizing event that took place in Los Angeles May 1–10, 2015. The brand was carried through a large, multi-room venue in Baldwins Hills. For the gallery design, we used a strong typographic presence, the halftone image of lady justice, and a variety of assorted triangles to unify the space. Several provocative installations were also created to communicate compelling facts that shouldn’t be ignored. 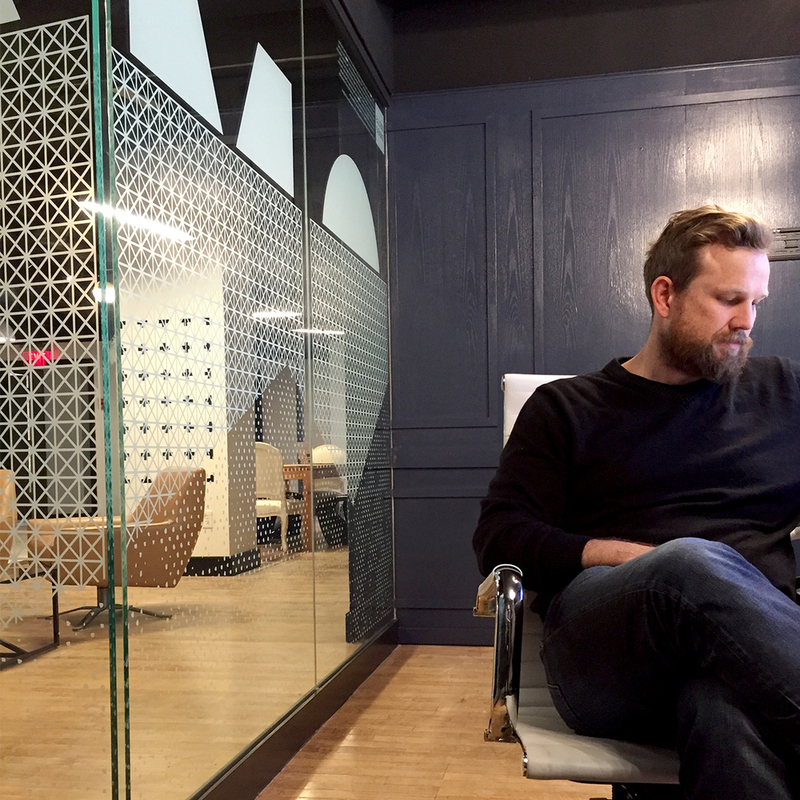 A dedicated space comes with a mutual participation in the everyday activity of creative work. Being in an inspired space is key for creative expression. There’s the potential to share ideas, gain outside insight, and partner on projects together.